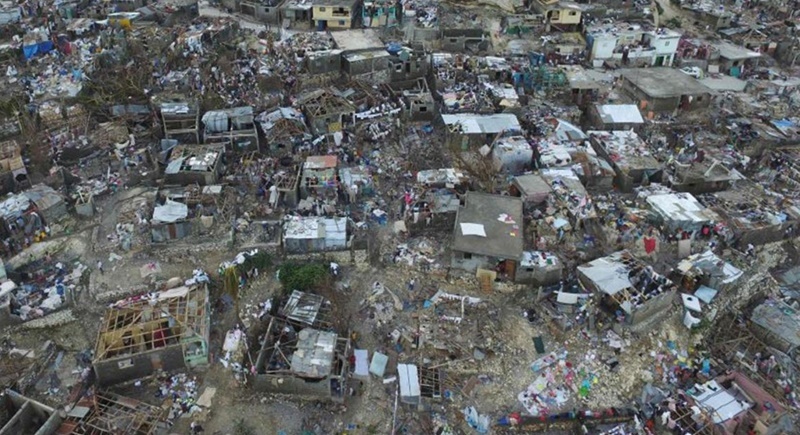 HAITI: Haiti faces a humanitarian crisis that requires a “massive response” from the international community, the United Nations chief said yesterday (Oct 10), with at least 1.4 million people needing emergency aid following last week’s battering by Hurricane Matthew. The storm left at least 372 dead in the impoverished Caribbean nation, with the toll likely to rise sharply as rescue workers reach previously inaccessible areas. Matthew levelled homes, fouled water sources and killed livestock, with victims pleading for help to arrive quickly. The United Nations has launched a $120 million (5.27bn) flash appeal to cover Haiti’s needs for the next three months. After pummelling Haiti on Oct 4 as a monster Category 4 storm, packing winds of 230 kilometres per hour, Matthew slammed into the southeastern United States, where it killed at least 20 people. In Haiti, more than 300 schools have been damaged, while crops and food reserves were destroyed, Ban said. UN aid chief Stephen O’Brien said the hurricane had triggered the worst humanitarian crisis in the country since the 2010 earthquake. More than 175,500 are in shelters elsewhere in the country. Damage to roads and communications has hamstrung deliveries of supplies. “I understand of course the frustration,” Jean-Luc Poncelet, the country representative for the UN’s World Health Organisation, said after arriving at the airport outside Jeremie, one of the worst-hit cities. “When you have no means of communication, no radio, no telephone, no roads and even a helicopter can’t land – this is what explains the massive delay,” he said. Twenty-six more tons had been moved to Jeremie for distribution, and more was on its way to Les Cayes, the other major city affected on the peninsula, he said. An official at the airport who declined to be identified said nearly 20 tons of supplies – tarpaulins, rice, cooking oil and hygiene kits – were being brought in. That added to 47 tons already flown in on US helicopters from the capital Port-au-Prince. Honduras, which maintains a force of 60 troops in Haiti as part of a UN peacekeeping mission, will be sending a planeload of aid today (Oct 11), along with 50 military officers to assist the victims, President Juan Orlando Hernandez said. But getting aid to Haitians now reduced to drinking unclean water and living in roofless houses will be challenging. On a road crossing the mountainous centre of the peninsula, some villagers blocked roads in an effort to stop aid convoys from passing through without delivering supplies. Haiti is also grappling with a worsening cholera outbreak in the storm-hit areas. Matthew came as Haitians were already struggling with the intestinal disease spread by contaminated food and water, with more than 500 new cases each week. He declined to give a number, but said there were “tens” of cases in one area of the peninsula. While evaluation teams were working to get a precise picture of the health situation, medical supplies were being brought in, he said. Mourad Wahba, the UN humanitarian coordinator in Haiti, urged aid organisations to focus on delivering supplies to smaller rural communities, where many families survive on subsistence farming and have had all their crops washed away.